The collapse of the Fundão dam was the major environmental disaster of the world mining industry. We identify with high resolution satellite images the ecosystems and cultural heritage damage. Contrary to post-disaster expectations, there was a setback in environmental legal planning. Leaf phenology monitoring using digital cameras in tropical vegetation. Digital images can track temporal changes in the vegetation structure. Phenocams are potential tools for conservation biology. Phenocams for tropical phenology monitoring are a promising research field in Brazil. The concept of ecosystems as infrastructure is reviewed. The terms green, ecological, natural, and blue have been used in the literature. Green infrastructure is the most commonly used name. A more inclusive concept for green infrastructure is proposed. Design principles for green infrastructure at all spatial scales are suggested. We tested predictions of a model for non-optimal animal movement in modified landscapes. In fragmented landscapes dispersal success is lower for birds from continuous forests. Fragmented landscape birds are slow-explorers probably obtaining better information about the landscape. Dispersal success is higher for birds from fragmented landscapes. Gradual landscape changes should be favored to avoid non-optimal spatial behaviors. Pilocarpus microphyllus is the main source of the medicament for glaucoma treatment. Absence of sustainable management increases the risk of extinction of the species. We review our understanding of P. microphyllus and propose conservation strategies. New potential areas of natural occurrence of P. microphyllus are proposed. Well synchronized vegetative and reproductive patterns in field growing plants. Rewilding envisages restoring ecosystem functions by counteracting defaunation. Interactions affect the fate of introduced individuals and community responses. Network models help predicting how an introduced species integrates the food web. Networks can help predicting and monitoring community-level outcomes. Feasibility and risk analyses of rewilding can benefit from a network approach. Small patches can increase landscape connectivity depending on the landscape context. The use of small patches by birds can be more influenced by matrix composition. Eucalyptus matrix favored a higher number of species in small patches. Robust information on biodiversity patterns and trends is important for public policies for nature conservation and sustainable development. 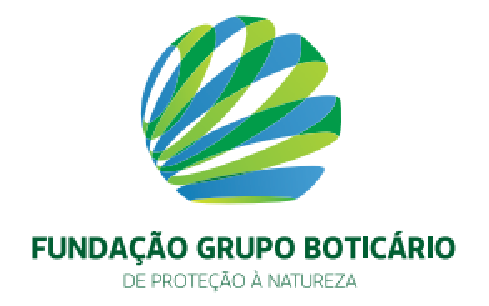 Current Brazilian policy of cuts in science puts research programs and long term monitoring of biodiversity at risk. Reduced spending will have long-term negative impacts on capacity building in science and technology. Cuts will reduce Brazil's capability to predict, mitigate negative impacts of, and adapt to global environmental changes. Cuts will result in less effective and efficient conservation strategies, threatening ecosystem services and human well-being, and in failure to reach the National Targets for Biodiversity 2011–2020.